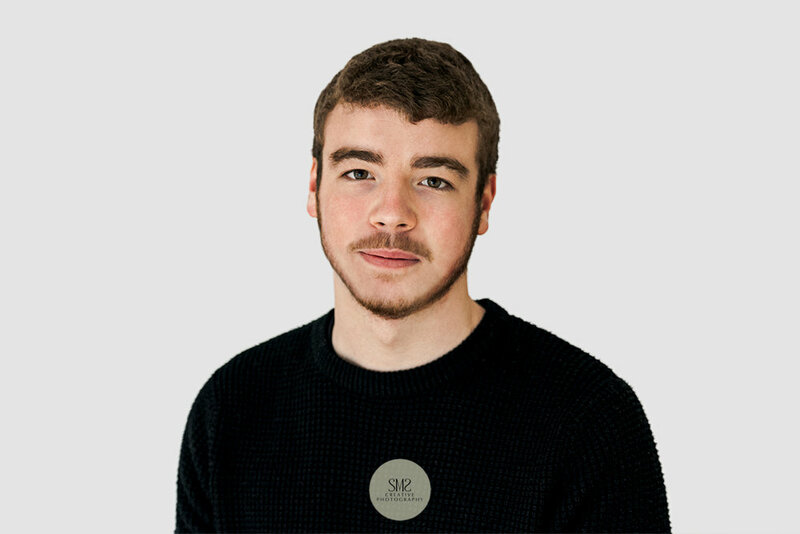 Following on from the last 'Meet the Team' with Stella, this time Jo Hackerspeaks to Ben about his role within SMS Creative Photography. Q. What did you want to be when you were at school? Funny thing is that it wasn't that long ago that I was at school! In fact the majority of my friends still are. Therefore since 2010 photography has been my obsession! I can't imagine a future without photography or retouching playing some part in it. Q. How did you start working for SMS Creative Photography? About six months after finishing college my Tutor emailed me a job description that Stella had sent him and asked whether it was something I was interested in. That next day I walked into the SMS Creative Photography studio laptop in hand with examples of my work and asked for the job. Q. What is your role at SMS Creative Photography? As a Digital Artist, my responsibilities include retouching and the finishing and printing of any photographs. It is important that I always get the detail right! I am also responsible for web design and maintenance, graphic design and liaising with customers. Q. Please can you describe a typical day for you? There is rarely a moment when I find myself without at least one image open in Photoshop! I also manage the daily communication of our services to customers through a combination of design and technology on the various platforms that we use. No two days are the same - we cover everything from the restoration of old photographs, studio photographs of Meissen porcelain, family studio and location photo-shoots as well as headshots. Every image we create in the studio passes through me for finishing. Q. Who are your favourite photographers? I'm always returning to Frederic Schlosser's website to see what projects he is working on. I also keep up to date with what Taylor James is doing in the commercial space but at the top of my list is the surreal photographer, Erik Johansson. In my opinion, nothing compares to his ideas and the execution of the imagery he produces. Q. What one piece of advice would you give to a budding new photographer? Do something different, look at what everyone else is doing and then run in completely the opposite direction. Q. What three words would you use to describe SMS Creative Photography?